Charles McDonald - Amputee cyclist "not afraid to fail"
We rode with Charles McDonald a few weeks on a gravel grinder ride in Shawnee State Park. Super nice guy and incredible cyclist. Earlier this week Washington, DC mayor Vincent Gray announced a bold sustainability vision that is as comprehensive and ambitious in its aspirations as any in the country and, frankly, worthy of comparison to those for other cities around the world. If successful, the 20-year program contemplated by Sustainable DC will bring the benefits of green living to traditionally underserved neighborhoods, cut obesity, substantially increase the presence of nature in the city, grow jobs, dramatically cut energy use and carbon emissions, and much more. If you’re not on board with these goals, then you just don’t care much about the urban environment. In the US, the west coast cities of Seattle, Portland, and San Francisco have long led the way when it comes to environmental thinking and ambition. More recently, Chicago, New York and especially Philadelphia have produced seriously impressive plans and programs. I’ve even applauded terrific initiatives in El Paso and Rockland, Illinois. DC has been flying under the radar on these issues. Always connected, always ready to respond. i’m Here’s technology is simple and efficient: from your smartphone you connect to i’m Cloud, which asks the device to find its position. Once identified, it shows you its location on Google Maps. Using latest generation technology, i’m Here is able to transmit its location anywhere in the world. Its secret? i’m Here uses its integrated SIM to access the global GSM mobile network to transmit its position. It does this upon demand, if you ask it via the i’m Cloud service, or automatically at pre-set intervals. This is useful, for example, when sailing or hiking alone, when you want to let others know your position or when you’ve finished and want to analyze your route. And in the pocket or on the wrist of your child, it becomes an invaluable safety device. Transportation agencies across the country are about to miss an important opportunity to improve non-motorized traffic safety and encourage healthy and active transportation options. If this is allowed to happen, there will be no national target to improve the safety of cycling or walking; there will be no measures established to track or monitor pedestrian and bicyclist safety or collect data related to these areas; and there will be no incentive, guidance or leadership given to state and local agencies to tackle this important piece of overall traffic safety policy. Without a specific performance measure to focus on nonmotorized safety, bicyclists and pedestrians will remain firmly in the blindspot of traffic safety. Funding for overall highway safety programs was almost doubled in MAP-21. Even though bicyclists and pedestrians now account for almost 16% of all traffic fatalities in the US, states are spending less than 0.5% of their safety funds to solve this problem. This is exactly the time to establish meaningful national goals and performance measures to tackle bicyclist and pedestrian safety as part of an overall, comprehensive and multi-modal traffic safety program. Are you in the market for a NEW BIKE this season? 2013 is here and many of you are looking for a NEW bike. Whether it is a Road bike or Triathlon bike, you need to purchase the right bike for YOU. No matter what price point your looking at, your hard earned money deserves to be spent wisely. At TRIFORMANCE we perform a NEW Bike FIT prior to Purchase. We execute a Dynamic 3D Bike FIT on our size cycle with RETUL technology. We dial you in to a PERFECT FIT. Taking into consideration your current goals, fitness, flexibility, off bike bio mechanics , performance level, and future goals. We are then able to cross reference our findings against most Brands, Makes and Models. You are the given a spread sheet of the three Bikes that FIT you the BEST. It is important to note NOT all Bikes geometries are the same. What I mean is, that a 54 in one brand can FIT extremely different than a 54 in a different Model or Brand. There is a lot of science involved. You as a consumer should not be burdened with that task, THAT IS WHAT TRIFORMANCE IS HERE FOR! You can be assured that you will receive an accurate and unbiased recommendation. YES, we do sell bikes. However sometimes YOU do not FIT one of the bikes we sell, we will inform you of that and give you the best recommendation regardless. Our goal is to inform you of the BEST bike for you, that is my personal PLEDGE TO YOU! We like to use the term “BUY WITH CONFIDENCE”! That is Triformance’s GUARANTEE to YOU! Wes is the owner and founder of TRIFORMANCE and a Certified USA Cycling Coach. In 2007, Wes made the move to primarily focus his athletic efforts in triathlon racing. He has raced dozens of triathlons from Sprint to Ironman distances. Wes is a Four-time Ironman finisher, (PR 11:32), five-time Ironman 70.3 finisher, and has raced and finished the famed American Triple-T twice. He has placed in the top of his age group in numerous races including first place relay at Outer limits Triathlon and first place relay Giant Eagle (40K PR avg 26.2 mph). Wes is a graduate from Retül University, where he worked directly under Todd Carver and holds a Masters and PhD RETUL degree with advanced TT/Triathlon Certification. Wes ‘area of expertise is combining a Comfortable and Sustainable Aerodynamic FIT. While maximizing Drag reduction and Power output. Have questions? No problem..just call 614-575-2453. In case you have not heard yet…we are open by appointment, so we can accommodate YOUR unique schedule. Here we are, less than two weeks after the Colorado Supreme Court overturned a bicycle ban in the town of Black Hawk, and the issue of banning bicycles from the roadway is back again — this time in Missouri. The Missouri Bicycle and Pedestrian Federation (MoBikeFed) says a state legislator is circulating a draft bill that would ban bicycles on any state road within two miles of a state-owned bike path or trail. This so-called “side-path law” probably makes a lot of sense to motorists and legislators who don’t ride bicycles. I’m sure they look at the perfectly good gravel path they made for bicycles and can’t understand why a bicyclist would opt for the road instead. To anyone who rides a bike, the proposed law makes no sense at all. Bunyan Velo is a quarterly collection of photographs, essays, and stories about the simple pleasures of traveling by bicycle. Issue No. 01 brings together a small group of bicycle tourists, commuters, mountain bikers, mechanics, and racers, each of whom offers a unique perspective and assortment of cycling experiences. After a long summer of riding and racing XXC Magazine is back with issue 17. Weighing in at 66 pages this issue is one of the biggest issues yet! Name your price! You can download your digital copy* of XXC Magazine #17 for as little as $1.00. Yep, ONE dollar. The digital cover price is $2.75, but you name your price! Wanna pay a $1.00? Pay a dollar. Wanna pay the $2.75 cover price? Pay the cover price. It’s up to you. Price fields can be edited and updated prior to checkout. Don’t forget, digital copies are FREE with every purchase from the XXC Magazine Store or with your purchase of a print copy at MagCloud.com. The Shinola Runwell rides Tour de Troit from Shinola on Vimeo. weather condition, is assured with the quiet and smooth disc brakes. Form follows function. This is the principle the ABUS designers followed in the development process of the Bordo. They succeeded in bridging the gap between the high security demands and a compact, clean design. Even the Bordo Granit X-Plus, which corresponds in its features to a Granit product with the highest security requirements, has a balanced and harmonic appearance. With its facelift, new design aspects come into their own. Even here, the design contributes to the function: The links are covered with a two-component coating (Bordo 6000/6100). That way, the bicycle's paintwork is protected and the colour variants are possible. The silicone cover for the lock body (Bordo 6000/6050) increases the ease-of-use through a better handling. The uncomplicated and noiseless transport bag was an important point in the product specifications. The lock and its bag were developed simultaneously and are perfectly adapted to each other. Only that way can the virtuoso shape and perfect function are achieved. Pinchflat 2012 from Jeremy Slagle on Vimeo. 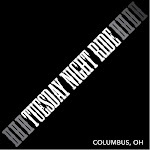 The City of Columbus is adding bicycle facilities to city streets in conjunction with resurfacing projects during 2013. These projects will add miles of bike lanes and shared bike/motorist pavement markings (sharrows), helping motorists and bicyclists safely share the road. New research on the subject emphasizes the importance of safety, above all, on a woman's decision to ride. Writing in the International Journal of Sustainable Transportation, a study groupled by Gulsah Akar of Ohio State University conclude that "women are less likely to feel safe" on a bike than men — particularly in an area with lots of car traffic. BITCHY TUTORIAL VOL.2 "CHECK YOUR TENSION"
BITCHY TUTORIAL VOL.2 "CHECK YOUR TENSION" from GASH-ROUGE on Vimeo. Singletrack High Teaser from Pedal Born Pictures on Vimeo. Many kids in America stop riding bikes in high school. Riding through puddles is no longer cool. Two wheels get traded in for four. For hundreds of kids in Northern California, the ride never stops...it gets faster. These are the student-athletes of the NorCal High School Mountain Bike League. They come from the mountains, the suburbs, and the city. Some ride carbon fiber race bikes, others old steel clunkers. They ride to win, to finish, and to escape. For six weekends every spring, they don their school colors, roll up to the start line, and fly. Three Fat Amigos! The green one is a Surly Krampus and runs an even larger 29r wheel size. The orange and blue are Salsa Mukluks and this is the park bench stop on Adams Gulch in Sun Valley. We reached this in an unusually hard effort, 'cause behind us were the wolves. KETCHUM, Idaho – Snow bikes are good for hucking about on groomed trails. They are not good for outrunning wolves. This became obvious as a group of us, dressed in garish red Lycra suits and riding black, orange and DayGlo-green bikes with cartoonishly large tires, pedaled frantically through the snow after a trio of wolves caught our scent. The experience made me ponder the point of these bikes, and the questions those building them must answer if snow biking is to catch on. It isn’t as if people often see apex predators when riding. But my encounter with canis lupus highlighted the shortcomings of bikes that are a hell of a lot of fun but struggling to find their place. Snow bikes are, of course, designed to ride over snow. Fat, cushy tires pumped to a whopping 5 PSI keep you from sinking. Garage tinkerers in Alaska and other cold climes have been building them forever, welding mountain bike rims together to double up on tires and fashioning frames to straddle them. The DIY ethos went corporate a few years ago when industry juggernaut Quality Bicycle Products joined the party. Martha Roskowski has been a bicycle advocate in the United States for some 20 years. It hasn’t always been easy. These days, though, things are starting to feel different. "In the past few years, we have seen a sea change," says Roskowski, who is heading up a two-year effort called the Green Lane Project (GLP) for the national advocacy group Bikes Belong. "Top city officials are now seeing bicycling as a really practical, rational part of the mobility picture." In other words, it’s not just a bunch of "bike nuts" who see the benefits of building better bike lanes. Urban transportation officials, facing growing populations, automobile congestion, and strained transit systems, are increasingly looking to bicycles as part of an overall solution. "Cities are really leading this, even when the feds aren’t," says Roskowski. The GLP aims to foster this evolving mindset by helping six target cities to adopt high-quality bicycle infrastructure – bike lanes where people can ride with at least some protection from car traffic in the form of bollards, parked cars, raised pavement, or other separation. Often they are painted – that’s right – green. GLP is educating city officials through travel and the exchange of information with peers around the world; identifying obstacles to implementation of better bike infrastructure; and gathering data to quantify the effect such lanes have on riding patterns and demographics. It will make its findings available to the general public as the project progresses.